We invite you to join us for the third annual Innovations in Invasive Species Management Training and Workshop to be held in Coeur d’Alene, ID December 10th-12th, 2019 at The Coeur d’Alene Resort. 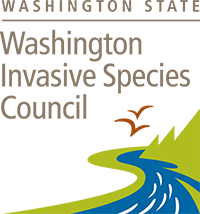 We invite you to join us for the third annual Innovations in Invasive Species Management Conference Training to be held in Coeur d’Alene, Idaho December 10th – 12th, 2019 at the Coeur d’Alene Resort. 2017 and 2018 were great successes with land managers coming together from throughout the US and overseas. The conference hosts people from throughout the US and World looking for new techniques and inspiration from successes to manage a wide range of invasive species We are working to include more animal, marine and insect content as well this year. Be ready for some exciting new topics and demonstrations in 2019. 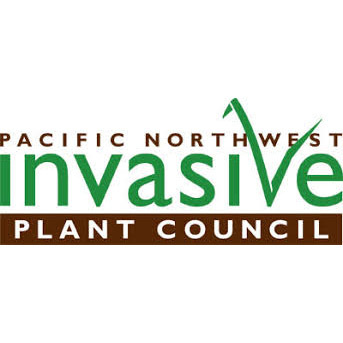 The 2019 innovations Conference is being hosted by the Pacific Northwest Invasive Plant Council (https://www.pnw-ipc.org/) , The Northern Rockies Invasive Plant Council (http://www.nripc.org/) and Invasive Plant Control, Inc. (www.invasiveplantcontrol.com). As we prepare the 2019 Conference please consider presenting. If you would like to present an oral presentation or a poster, demonstrate equipment or reserve a vendor space, please see below for directions. Otherwise if you have any questions please give Steven Manning a call at 615-969-1309 or send an email at steve@ipc-inc.org. We will have two submission deadlines for this conference. Oral Presentations will be 15-30 minutes long with 5 minutes for discussion and questions. Presentations will be included in a relevant general oral session, or in an organized oral session if appropriate. Poster Presentations will be displayed throughout the conference in the main Ballroom. We ask that you be present during the session to present your poster and answer questions. Posters should be no larger than 4×4 ft. Note to Students: We encourage student submissions. Students who want to present at the conference should submit their abstract according to the outlines on this page. For Symposia and Organized Oral Sessions, abstracts must be submitted for each presentation. Each submitted abstract must include the following. Please carefully adhere to these guidelines: Attach your abstract in Microsoft Word, using one-inch margins and Arial, 11 pt. font. Single space the abstract and separate each section with a single line space. Please note that rooms will not be assigned until check-in and that the room type requested is not guaranteed until check-in. For those wanting to call in to confirm their reservation, please call 800-688-5253, and our Reservations Team will be happy to assist you in confirming your stay. The cut off date for room reservations under the conference block is November 8th, 2019. Welcome to The Coeur d’Alene Resort, a world renowned destination for vacation, business, romance and fun, overlooking a stunning alpine lake in a quaint, friendly downtown lakeside atmosphere. Whether you play the world’s only Floating Green, escape to our Spa or lounge by our infinity pool, we’ll help make it a most memorable and magical experience. Our service team is renowned for heartfelt hospitality and attention to every detail. For three decades, we’ve created Great Guest Moments. Where will the day take you? Welcome to the newly renovated, fully-upgraded, completely elevated Coeur d’Alene Resort. During a process that took three years to complete, from beginning to end, The Coeur d’Alene Resort has been upgraded to more than a fresh coat of paint. It’s a complete renovation — from new carpet to larger 4K-HD television displays; from improved lighting to cozier beds. It’s the Resort you’ve always loved, looking sharper than ever. 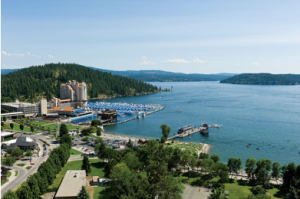 The Coeur d’Alene Resort is located 40 minutes east of the Spokane International Airport, offering non-stop or one-stop access from most major US and Canadian cities. The Coeur d’Alene Air Terminal is available for corporate and private aircraft. Airport limousine service is available from both the Spokane and Coeur d’Alene facilities with advance reservations. The Coeur d’Alene Resort is easy to reach by automobile via Interstate 90 (Exit 11) or Highway 95 (Northwest Blvd). From the exit, follow the directions to downtown and watch for the Resort on your right. 48-hour notice is required for all transportation requests, or cancellations.